How Dare You is a skill game provided by www.bestgames.pk. Before each step, there are notes telling you what to do. You should act according to them and try to finish your tasks. Use the mouse to move and jump and click to fire objects. On your road, there are coins, monsters and some dangers. Collect coins and kill monsters to earn money. After you finish one level, you can go to the shop to upgrade your equipment and skills. Now, are you ready? Go! Hey girls, do you have a favorite Disney character? What a silly question, of course you have! Every one of us have a fav. Disney Princess but if she would be our real life friend, would we get along well? Would that princess be your BFF. 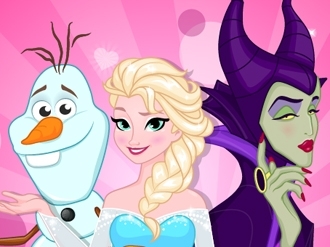 Well, in this fun new quiz game called Which Disney Character Is Your BFF?, you are going to find out which of the Disney characters would be your best friend. Five Minutes To Kill Yourself Wedding Day is miscellaneous. Use the mouse to move around. Click on objects or people to interact with them, or hold the mouse button down and point in any direction to move around. Some items work is conjunction with others. Keep an eye out for potential combo items like this. You only have 5 minutes, so be quick. Visit www.bestgames.pk to enjoy this free game! Five Minutes to Kill Yourself Reloaded is miscellaneous. Hold the mouse button down while pointing in any direction to move around. Click on objects or people to interact with them. Use M key to bring up the map and orient yourself. You can choose the more powerful tools to damage yourself. It will shorten your life. Wish you good luck in this classic game. Enjoy more free games at www.bestgames.pk. Have fun! Princess Rapunzel wants to go for the cheerleader tryouts. 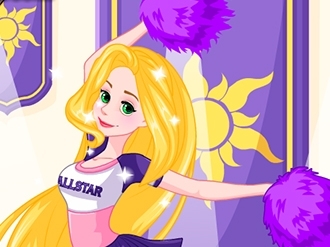 We all know she is definitely going to make it, but Rapunzel is not sure if she is cheerleader material. So first, let s help her take a quiz to decide! Answer the questions quickly and see the result. Practice is always important. Up next let s help Rapunzel practice some cheer leading moves like high kicks and splits for tryouts at home. Enjoy!